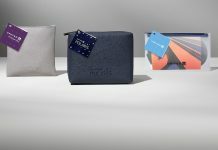 All Nippon Airlines, with supplier FORMIA, is proud to introduce its exclusive partnership with British Luxury Brand Globe-Trotter. 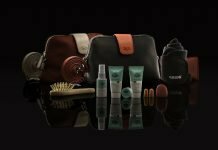 Established in 1897, Globe-Trotter’s brand philosophy has remained unchanged and has evolved into a luxury travel lifestyle brand producing handcrafted luggage and leather collections. Globe-Trotter carries a strong iconic aesthetic with a luxury spirit which FORMIA has depicted and conceptualized, creating a miniature edition of the brands iconic centenary case. As a first-time onboard, the concept will feature on All Nippon Airlines (ANA) in all First and Business Class cabins. Translated into three exclusive designs and a series of colors rotated every 3-4 months; starting off with Ivory, which will be available on all international First and Business Class routes. Next articleAir Caraibes Keep Kits Cool!